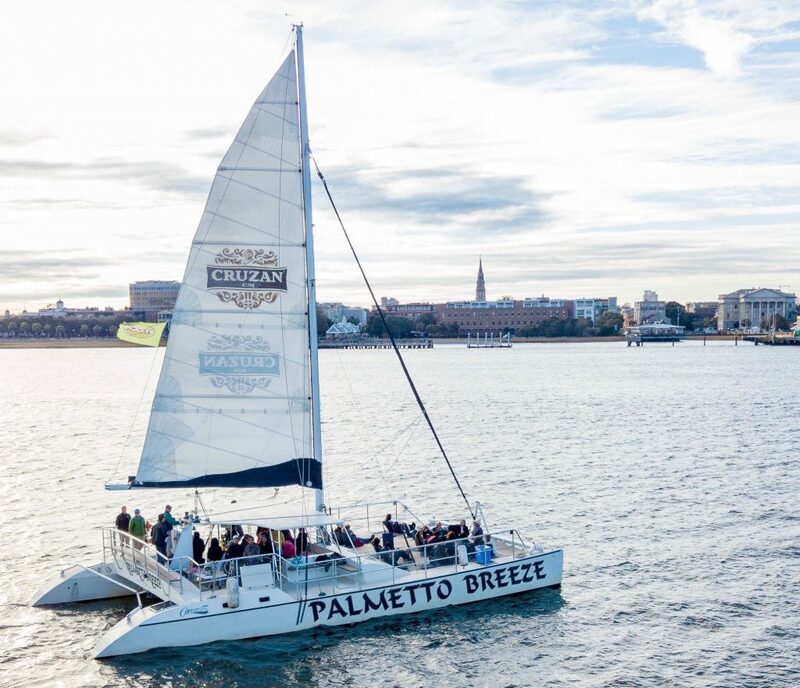 In Charleston Public Excursions are available aboard PALMETTO BREEZE, the largest capacity sailing catamaran north of Ft. Lauderdale, Florida. 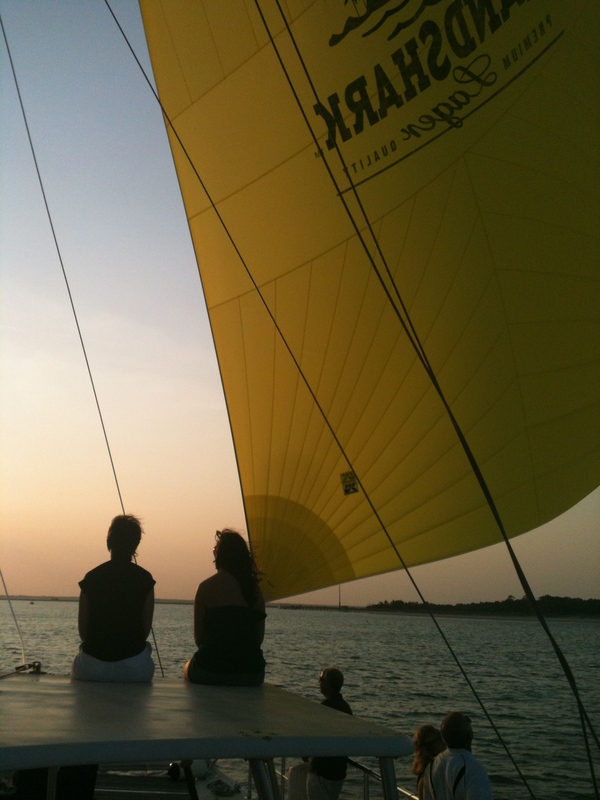 Experience the natural beauty of South Carolina’s barrier islands, the intracoastal waterway, inlets, and surrounding salt marshes aboard Charleston’s ultimate sailing catamaran! PALMETTO BREEZE is both fast and spacious. Cruise through lowcountry tributaries searching for diverse wildlife unique to this salt marsh environment. 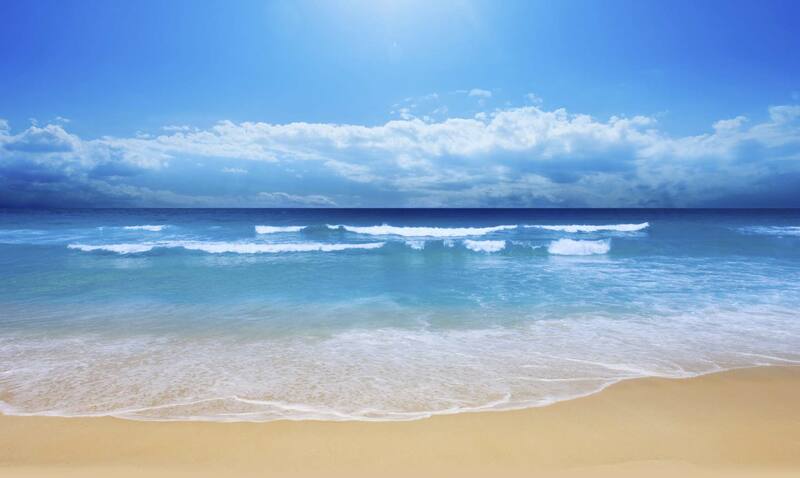 Watch for wildlife including bottlenose dolphin, egrets, herons, alligators, osprey, pelicans, shrimp, crabs, fish, and other species. 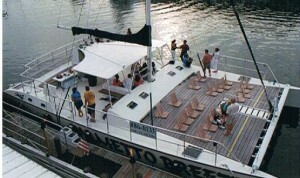 Enjoy sailing at it’s best on PALMETTO BREEZE’s deck of over 1700 square feet or relax in her enclosed cockpit seating. 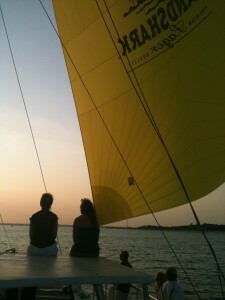 In addition to her public schedule, PALMETTO BREEZE is available for private charters days and evenings. U.S. Coast Guard Inspects her on a routine basis and allows 100 guests plus crew.